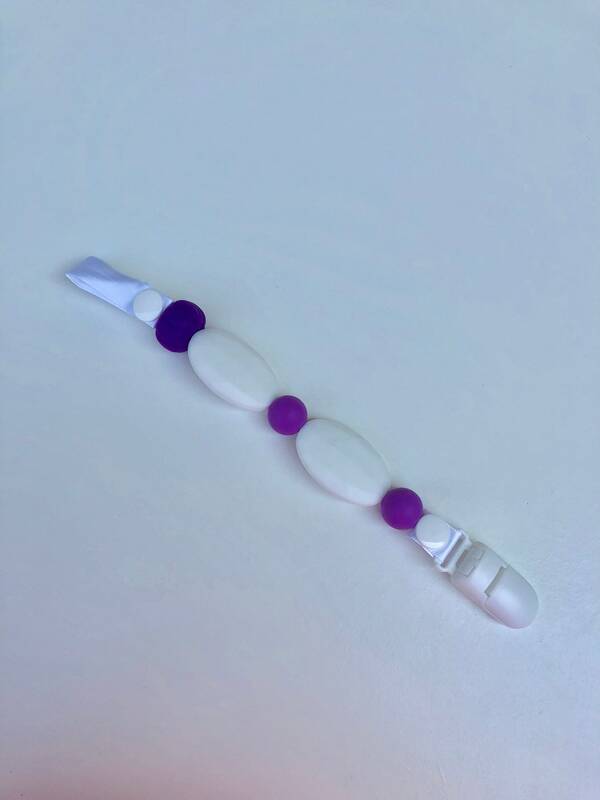 *This is a handmade pacifier clip, great for your teething infant. It is made with a BPA and lead free food-grade silicone that is safe, chewable, and fun to play with. It is made with a clasp for the baby's clothing or bib with a snap loop on the other side to go around the loop of a pacifier. *This is a great sensory toy for infants and soothes sore gums. It is great for on the go, keeping your pacifier handy! It would also make a great gift!